If you are going to succeed in online marketing, you must have traffic, online marketers understand this. So it's no surprise that SEO has been such a “hot topic” over the last several years. But with so so much emphasis on SEO and so many online marketers and business owners wanting to succeed online, some SEO providers have promoted shady activities. And Google, in its quest to provide its searchers a quality user experience, has cracked down on and penalized website owners who allow these tactics on their sites. Google, with its goal of providing its searchers with a pleasant, fruitful user experience has decided that website UX will be a factor in page rankings. As we have said so often on this blog, even though traffic is important, it's a small part of the online marketing success equation. You can have hordes of traffic, but if you provide a poor user experience and your site doesn't convert, what benefit is all that traffic to you? So you want, and I urge you to have, a website that provides a great user experience. And because Google has decided to make website quality a factor in search rankings, if you focus on giving a quality user experience not only is your site likely to convert more of your existing traffic, you're more likely to get more traffic! So today, let's not focus on SEO as we have come to know it in the past, let's focus on specific steps you can take to give your website user a better experience and steps you can take to increase your conversion rate. Before we go further, let's drive the point home that without conversions, all the traffic in the world won't help your bottom line. A lot of online marketers get so caught up in the idea of driving traffic to their sites they ignore this fundamentally important truth. So when you are building your website, keep this in mind. Look at every part of your online marketing approach from this angle: “Will this step help me enjoy a higher conversion rate?”. If you are confident it will help, keep it. If you aren't, scrap it and try something else. And of course, conduct extensive split tests and act on the results in order to refine your online marketing and conversion rates. Since conversion is so critical, make sure from the beginning of setting up your online marketing apparatus that everyone on your team – website designers, SEO professionals, content and copy writers, graphic artists, etc., is on board with this goal. If not, replace them with web pros who value and prioritize conversion. When we are optimizing our websites for UX and SEO, it's easy to focus on our homepage and forget the rest. This is a mistake. We want every page on our site to be SEO, conversion and UX-friendly. Also, remember to make your page-to page navigation super-simple. Make it a snap to navigate from any one page to any other. And unless you have a page that's a scrolling sales letter for an e-commerce or information product, try to keep the bulk of your pages' content above the fold. One of the most important aspects of a great UX is relevance: Do your users feel like what you are saying matters to them? Are they finding solutions to problems after they land on your website? If the answer to these questions is”YES!”, their user experience will be much more likely to be a pleasant one, and they be more inclined to spend considerable time on your site, and more likely to convert and become repeat buyers! So understand your audience very well. Give them the message they want to hear. And of course, use solid copywriting and content marketing techniques, and focus on the reader, not your company and its products. This is a critically important part of the UX you give your visitors. When people are on the web, especially when they are searching for a solution to a problem, they tend to not be patient. They tend to not be very forgiving of a webpage that is slow to load. This impatience will affect your site's UX in a big way. And if you think about it, there won't be much user experience for a lot of your visitors, because they will take off shortly after they arrive on your site. So check your page's load time carefully, from a number of different browsers, computers and mobile devices. While you're doing this, put yourself in your visitor's shoes, and closely observe your site's load time and overall UX. Honestly ask yourself if you think you are giving your user a great experience, including a fast page load time. If your website loads quickly, you stand to sell more. And page load time is important for your Google ranking. This one is directly related to the page load time issue, and it has major UX implications. A lot of users are annoyed by Flash-based graphics. Why? Slow load times, and it often requires a plugin. Flash is not compatible with all devices, most notably Apple iphones and ipads. As of November 2012, Apple has a 67% share of the mobile browser market. If you insist on using Flash on your site, it won't be compatible with 67% of the browsers on the mobile market. Ignoring that large group of users could cost you quite a bit of business, don't you agree? Remember what we said earlier: You can have all the traffic in the world, but without conversions, it won't help your bottom line. 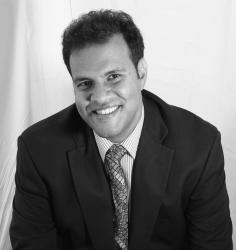 Your online marketing machine has to convert. And we're not just talking about your website. We're talking about your landing pages. If your online marketing efforts are going to do an optimal job of converting visitors into buyers in an e-commerce B2C situation, or guide the maximum number of prospects through your funnel in a B2B lead generation campaign where your goal is to “sell” them on downloading your latest white paper or registering for your webinar and ultimately persuade them to “raise their hand” to request a call from one of your sales reps, the bottom line is that for maximum success in your online marketing conversion rates, you need landing pages. 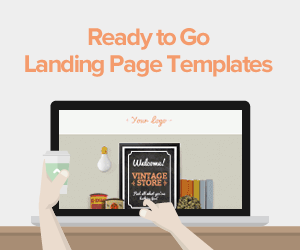 And you need landing pages that rock! 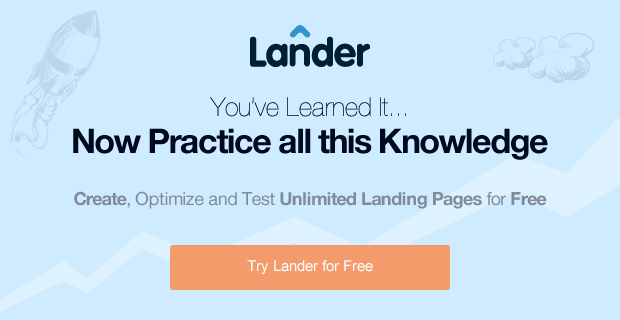 In addition to great copywriting, solid, conversion-friendly design, graphics and images and a powerful offer, you want the advantage of a world-class landing page platform like Lander. Why Lander? Well for one thing, you are busy, maybe even overwhelmed trying to run your business. You don't want to mess with trying to set up a landing page “the old fashioned way”. 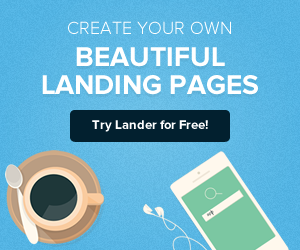 With Lander, the easiest-to-use-landing page platform in the Universe, you don't have to. Lander is a breeze to set up and a snap to maintain! And Lander is engineered to help you enjoy higher conversion rates. 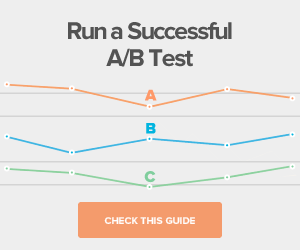 It's loaded with valuable features including advanced A/B testing capability that helps you refine your online marketing conversion approach and experience greater and greater results over time. 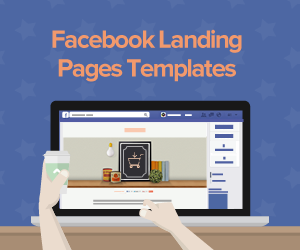 And here's the Lander “feature” you just might like the most: You can try any of our landing page templates and rate plans free of charge for up to 30 days! Do you have any questions about how Lander can help you launch your online marketing results into the stratosphere? Contact us today.